From October 2015 to Jan 2016, Submerge installation was exhibited at the Lighthouse, Glasgow, premiering at Sonica Festival. The location was perfect, being the water tower at the Lighthouse designed by Charles Rennie Mackintosh in 1895. The water tower originally held a tank of 8000 gallons of water to function as a fire extinguisher for the building. 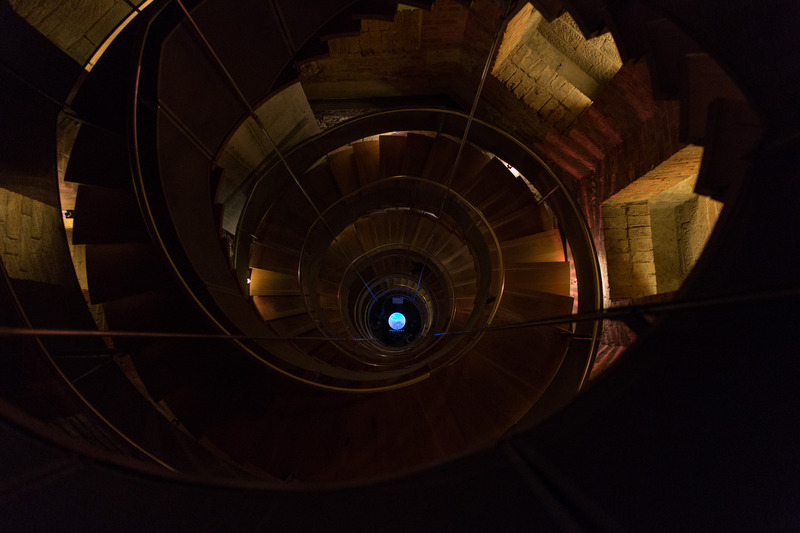 The tower now houses a beautiful helical staircase allowing visitors access to spectacular views of Glasgow from the top. The installation is designed to echo the circular structure of the water tower and consists of a projected circular map of Glasgow’s waterbodies. 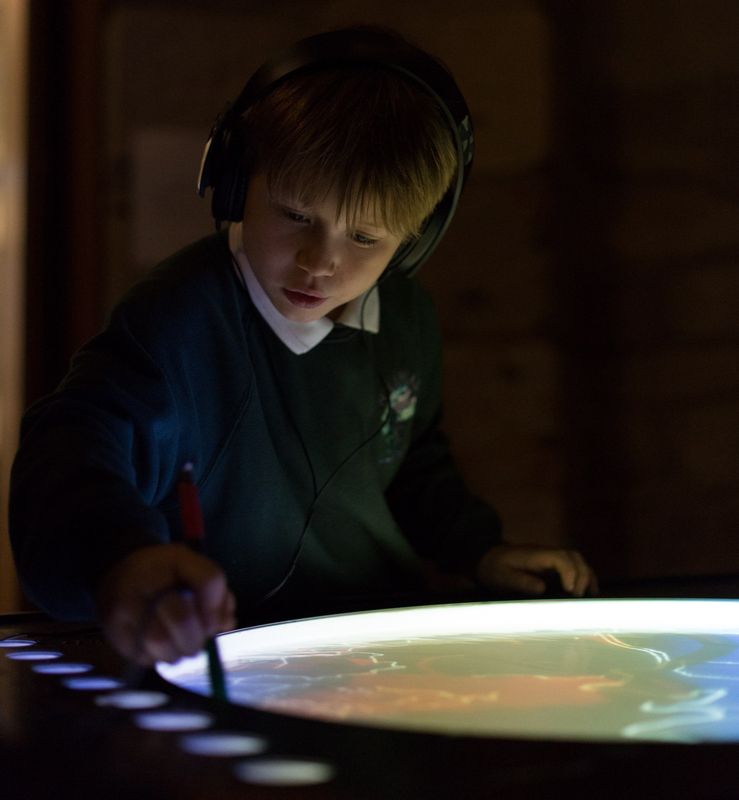 The map is covered by a thin film of water and visitors are invited to use an interactive pen to draw onto it. Wherever the pen traces, the projection changes to reveal water imagery and underwater sound recordings playback from the corresponding locations. There are smaller, illuminated water-filled circles the pen can be dipped into to select a ‘filter’ which activate the results of the water analysis surveys. These results are represented visually and sonically based on which parts of the sound map you are listening to and which filter you have chosen. These sonic adjustments are created using audio effects applied to the recordings themselves and the imagery that is revealed is tinted to represent the variation of the scientific results. The Submerge interactive sound map can be experienced as an ever changing underwater composition unique to the city of Glasgow which begins to reveal aspects of varying water quality around the city. The porject also draws attention to the often forgotten burns that, in past times would have been seen as important resources for communities.